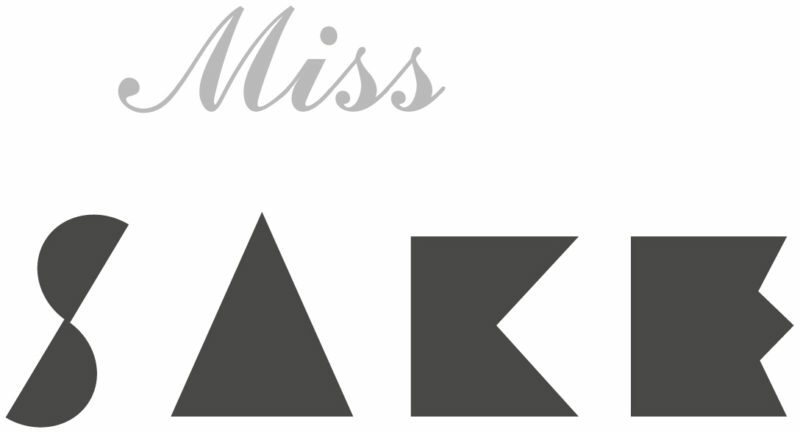 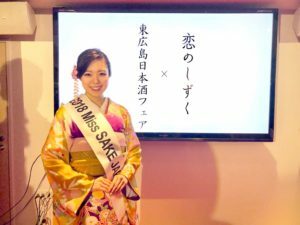 1 Asami Sudo, 2018 Miss SAKE, joined the SAKE event of East Hiroshima City featuring the movie, ”Koi no shizuku, for Love’s SAKE” at Hiroshima Brand Shop TAU. 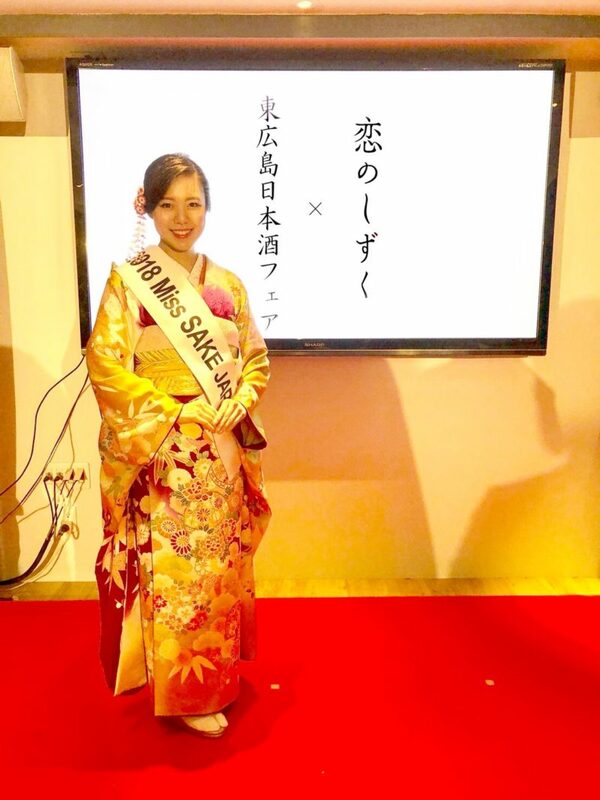 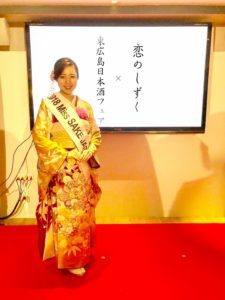 Asami Sudo, 2018 Miss SAKE, joined the SAKE event of East Hiroshima City featuring the movie, ”Koi no shizuku, for Love’s SAKE” at Hiroshima Brand Shop TAU. 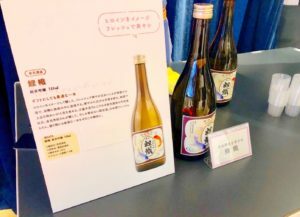 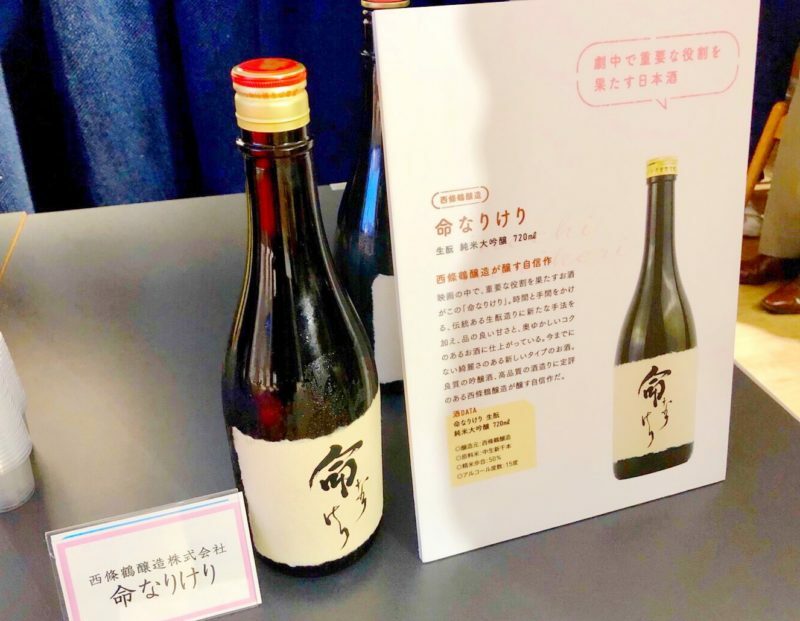 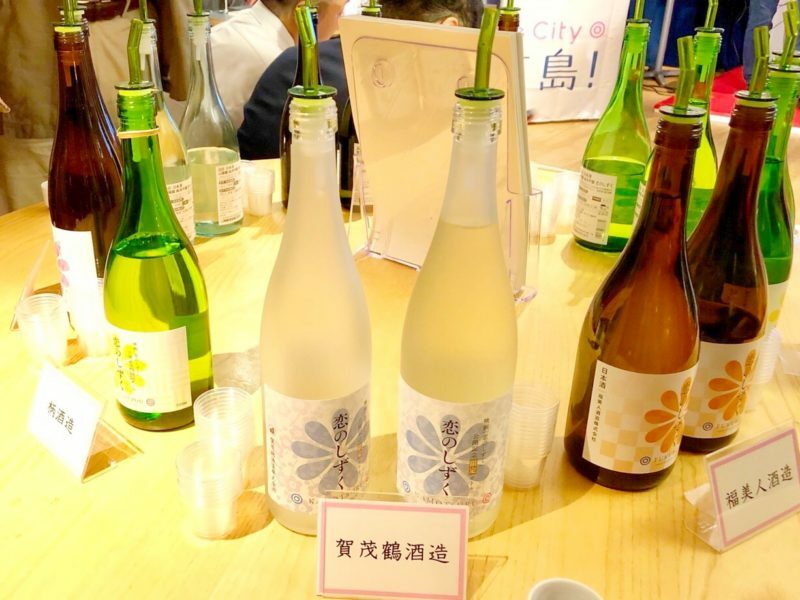 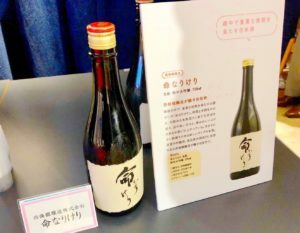 On September 25th, I joined the SAKE event of East Hiroshima City featuring the movie, ”Koi no shizuku, for Love’s SAKE” at Hiroshima Brand Shop TAU. 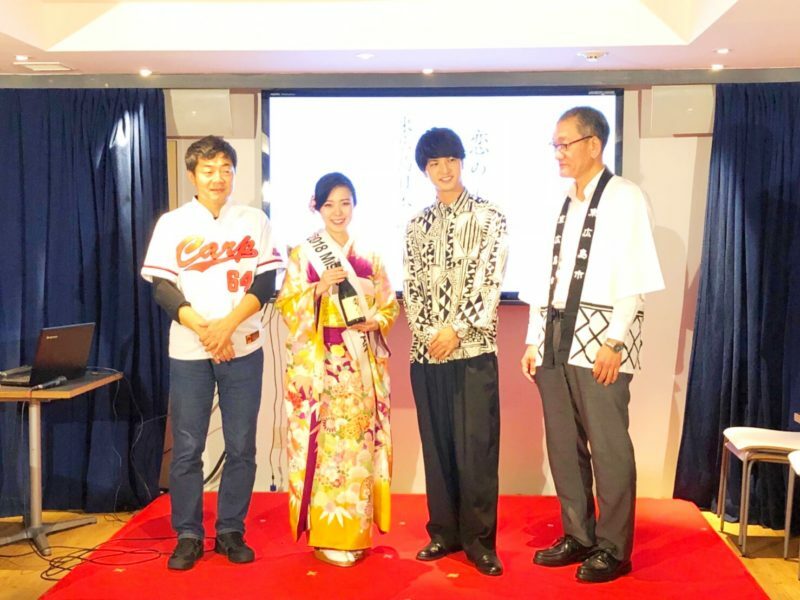 At the party, a special talk session on the movie and East Hiroshima City took place, and I joined the session with Mr. Naoki Segi, the director of the movie, Mr. Tatsuya Ishikawa, the head Toji of Hiroshima Toji Union, and Mr. Yuichi Nakamura, the actor playing a young SAKE brewer in the movie. And this night, guests can taste 9 kinds of SAKEs, specially made for the movie, and the 3 kinds of SAKEs which appear in the movie. 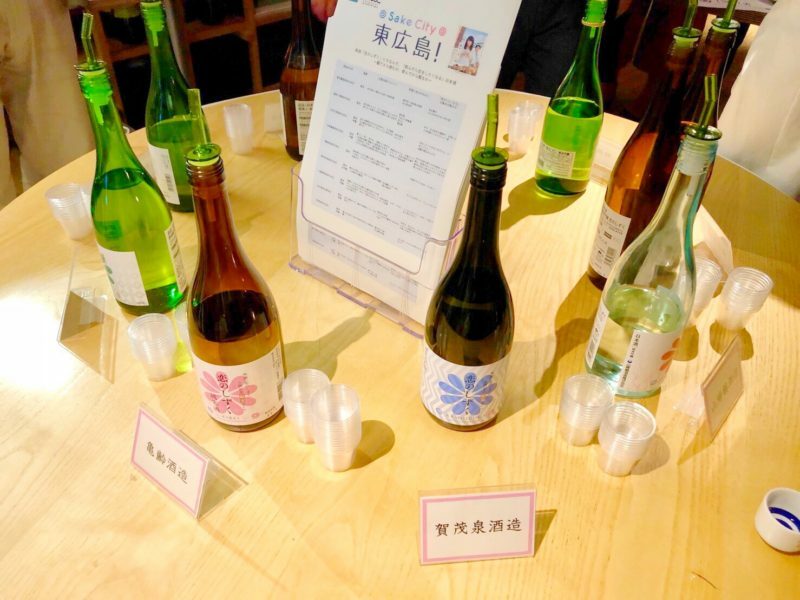 Happily, I had a chance to taste some and enjoyed the greatness of East Hiroshima SAKE! 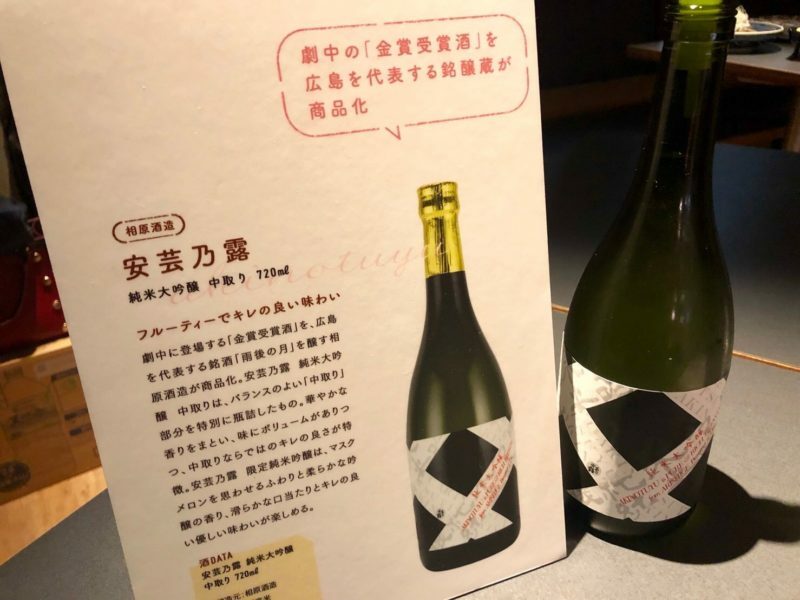 You can get the special SAKEs at the Hiroshima Brand shop TAU. The passionate stories on the movie and the city during the session made all of us there eager to watch ”Koi no shizuku” and visit East Hiroshima City soon. 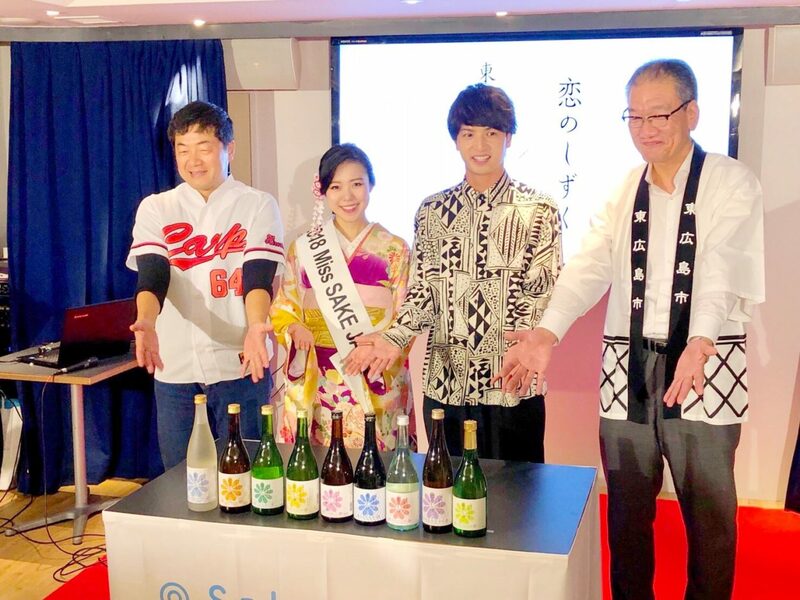 I’m looking forward to the release of the movie on October 20th and the Saijo SAKE Matsuri next week!